f we looked at the large audio show through reason - let it be the Warsaw Audio Video Show - we would get an almost surreal impression of an anachronism that nobody notice. It is about a peaceful coexistence of techniques and technologies that often come from times separated by several decades, for example turntables and file players (streamers), cables and wireless communications, knobs and control applications, tube power supplies and SMPSs, tubes and integrated circuits, etc. And yet dealing with them on a daily basis, reading about them, listening to them somehow, we do not see the absurdity of this situation. 1 Progress in some discipline of science or other area of life is a sequence of changes taking place in it, bringing it closer to some goal or leading to more and more perfect states. 3 Progress of some activities or processes means they move in the desired direction. 5 We use the word progress to highlight changes for the better in something. Progress, as you can see, is clearly a positive word and concept. It leads from simple things, meaning inferior or worse, to complex, implicitly better ones. Progress in this approach is something good, desirable and awaited. What's more - it seems inevitable, something that will come, whether one likes it or not. Even if novelties seem to be worse and even dangerous for some people - see Luddites in England at the beginning of the industrial revolution, opponents of print from the fifteenth century, farmers in the Polish territories after World War II chasing away "economists", etc. - history proves that they were wrong. Because progress is by definition good (its implementation is usually worse, but this is a topic for a separate article). So where does the coexistence of audio products, which are separated by more than one technological revolution, billions of dollars invested, generations of scientists and engineers implementing them for production, come from? The answer seems to me to be simple, but only because I say it as someone who sees it from the inside, who feels how it works rather than understands it: progress in audio isn't linear and is arbitrary. Let me explain. One can probably assume that in audio we want the reproduced sound to be better and better, that is, more and more similar to a live performance. The problem is, that it's just an utopian idea, a beautiful fairy tale, but still a fairy tale. After all, one would have to be able to record the performance is a way identical with the event and then recreate it in the same way. I wrote about it many times that the recording, and then its reproduction is an art, not a mechanical translation. And if it is an art, then different approaches and styles are allowed, and so is their interpretation. In audio, progress seems to be obvious, but at the same time doubtful - it gives are something, but it also takes a lot away. 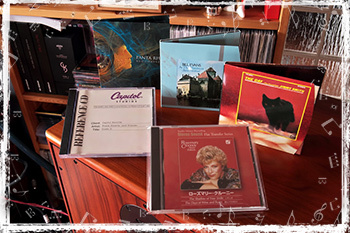 The more so because we are talking about music, which is a kind of art that is filled with emotions. And if these emotions are properly conveyed from the recording to the listener, we can talk about a success. And it does not matter at all how we achieve that - using tubes, transistors, applications, cables or wirelessly. That is why all these anachronisms exist side by side, often within one audio system. 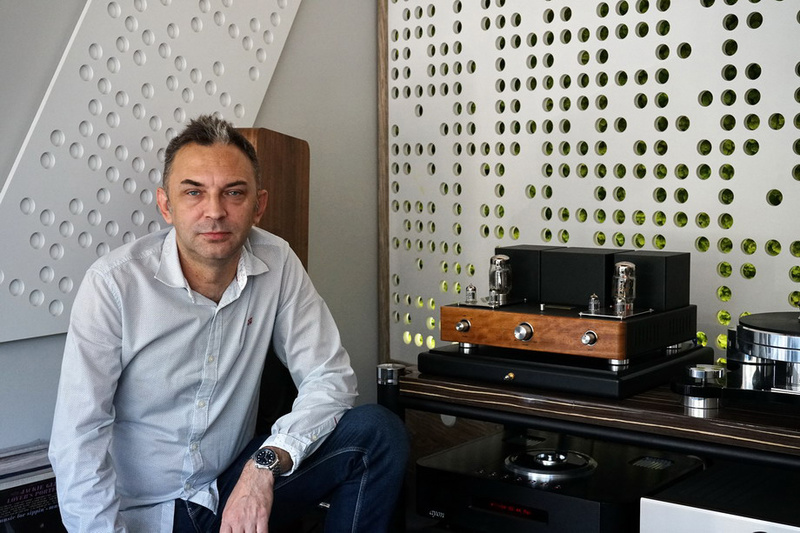 Mr Michał Posiewka when establishing the Reveal Audio company probably assumed the same, because when building an amplifier he decided to use tubes in the output, in the oldest known system - single-ended. He named his amplifier the First, as it was his first commercial design and additionally equipped with a feedback depth switch. That's the amplifier I would like to tell you about. I am an electronics engineer and I have been running my company since 1989. From the beginning of its activity, it has been associated with the electronic industry. In the early years it was in a business of designing and serial production of alarm systems and access control systems. Later, the activity was extended to include installation services. 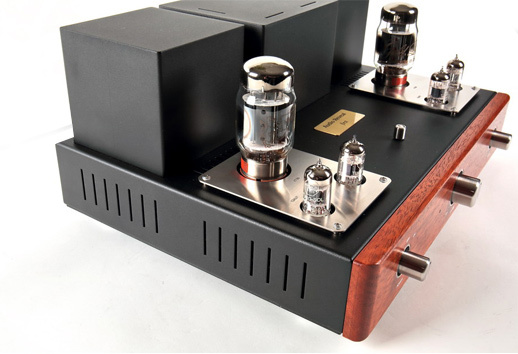 The idea for designing tube amplifiers arose from many years of my passion for high class sound. In 2016, I decided to design a tube amplifier that would have its own sonic signature - that's how the Audio Reveal brand came to be. The development and production implementation of the first amplifier took about two years. 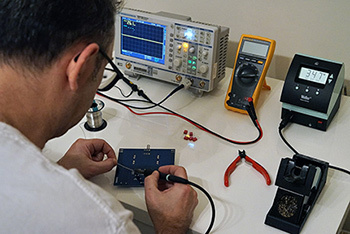 This is time-consuming process, since designing an audio amplifier so that it offers high-level performance requires a lot of work – choosing tubes and their operating points, the right components, the multiple measurements, and last but not least many hours of listening in various configurations. The amplifying circuit in the tested device is very simple. 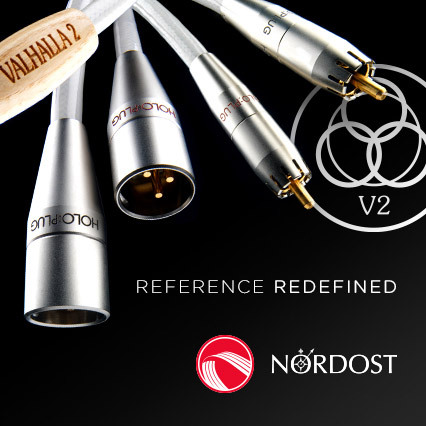 It features four stages based on three tubes: input dual triode 12AX7 (ECC83), 12AU7 - the next dual triode, this time operating as a driver and a single beam (or kinkless, hence “K” in the symbol of KT88) tetrode, often confused with the pentode, the KT88, which can be replaced with 6550. The output tube works as pentode. The signal is amplified in class A from the input to the output, in a single-ended circuit, where the signal is amplified entirely in a single amplifying element, without dividing it into halves. A single tube in the output, truly single, not several working in parallel, usually means low power. Using a KT88 results in an output of 10 W at 8 Ω and 8 W at 4 Ω. So one should consider using loudspeakers of above average sensitivity. My Harbeth M40.1 are not particularly sensitive, but when driven by amplifiers with good current efficiency, they usually deliver good performance. The designer allow users to adjust the sound to individual taste using flip switch on the top of the amplifier, which changes the depth of global feedback loop. Remember, however, that you can't cheat physics meaning that when you lower feedback at the same time you increase distortion, narrow the frequency response down. There is also an advantage as by doing so one minimizes distortions resulting from providing a part of the output signal to the input. Usually, this is a choice of people who listen to the music. Because lower feedback (NFB: Negative Feedback) means usually a more pleasant, more natural sound. Tube amplifiers offer their users a unique opportunity to experiment with different tubes (so called: tube rolling). Although they carry the same symbols, they differ - and in a great way – from one another with their design and parameters, and hence with performance. A responsible manufacturer must, however, take care of the repeatability and reliability of the device, which is why the tested amplifier is delivered with reliable tubes, usually from current production. In the input one finds the 12AU7W by Tung-Sol from 1989, so actually a NOS tube. The driver 12AX7 comes from the same brand but is a most recent product. And last but not least, a power tube – it's a KT88 from Genalex Gold Lion. They were all made in Russia. The designer decided to use a soft start power up sequence with a delayed anode switching to extend tube's life span. Besides, tube amplifiers are not as prone to problems as many laymen think they are. Properly used, with good tubes they behave like ordinary transistor amplifiers. With average usage of a few hours a day most likely a user will have to replace tubes only after w few years. The tubes used in the First are easily available and therefore inexpensive. In any case, after switching the amplifier on a red LED flashes and after 45 seconds it changes to green - and green means: "ready". The Audio Reveal amplifier was placed on the top shelf of the Pagode Edition rack next to the Ayon Audio CD-35 HF Edition player, which served as a source. The signal between them was sent through the Crystal Cable Absolute Dream interconnect. The First was driving large Harbeth M40.1 speakers. As I mentioned, they are not easy to drive, but several SET amplifiers with an output of a little over 6W performed very well with them. The tested amplifier features a very large dual mono power supply, reasonable output, so it did well with my speakers - even really well. The amplifier was connected with speakers atypically, because this time I used Western Electric WE16GA NOS cables. I spent some time comparing the two positions of the feedback switch. Let me put it this way, I can understand those who will choose the lower value. It will result in a warmer sound with clearer, more distinct foreground. With my loudspeakers however, I definitely preferred the presentation with more feedback. The sound was nicer, richer, more resolving, and the bass was better controlled. However, the choice is yours and it depends on your tastes and systems.